When designing West Woods Apartments, we purposely identified the amenities that high-end homes would have and incorporated them in our apartments. We offer all upgrades as standard options in our apartments. 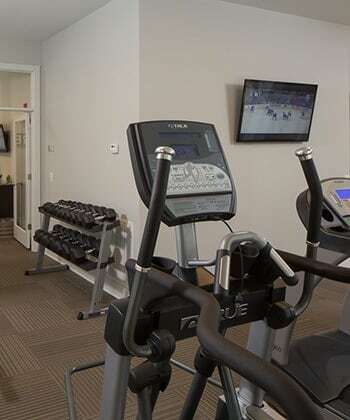 With the many conveniences at West Woods Apartments, it is easy to come home to stress-free living. Enjoy modern luxuries such as fully equipped kitchens with granite countertops, ample closets, screened patios, and spacious, open floor plans. These are just a few of the ways that you will save time, money, and energy in your new home. As you tour our property, you will discover what indulgence feels like. One call to West Woods Apartments will have you on your way to resort-style living. Call us today to schedule your personal tour.